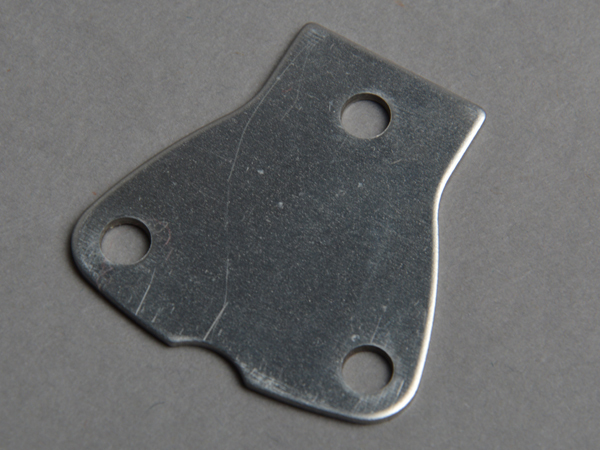 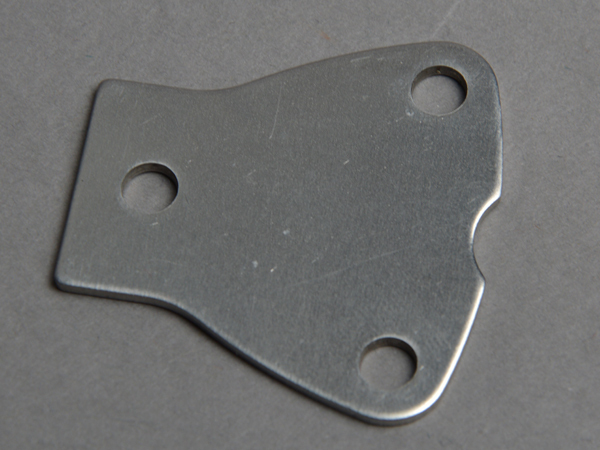 This retainer plate is constructed from 1.5 mm thick cold worked 301 stainless steel. 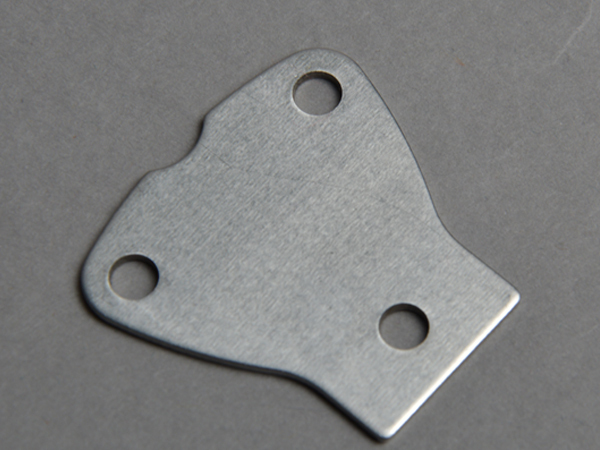 Because product material has to reach minimum yield strength of 760 Mpa, the tool should use high quality material for its punch and die. 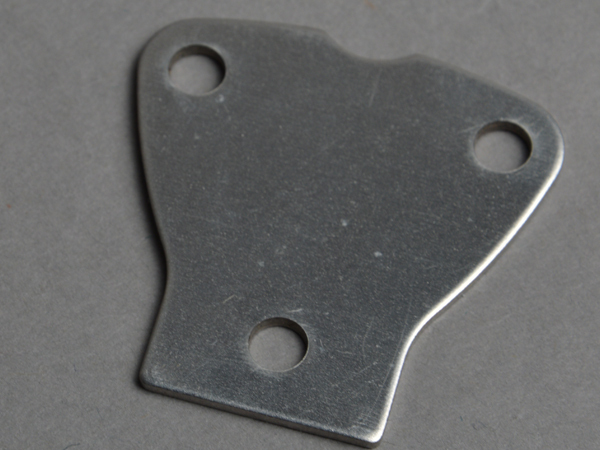 In addition, the part has to be exposed to the open air, so the part after stamping have to be passivated to form a protective film, so as to prevent corrosion.